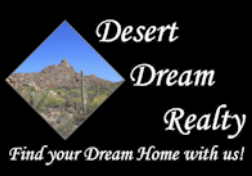 15 Reasons to Choose Desert Dream Realty for your Real Estate Needs | Desert Dream Realty Cave Creek | 480-252-8300 | Find Your Dream Home with Us! We have exceptional knowledge of the local real estate market in Scottsdale, Carefree, Cave Creek, Phoenix, New River, Glendale and surrounding Maricopa County, AZ areas. We work as full time real estate professionals which means you will have support throughout your real estate transaction.